"what if you wrote 50,000 words on ethandune in november"
TO WHICH I AM NOT COMMITTING because then you could reasonably commit ME; but since lots of people are crazy & still loose on the internet, I thought I would share some of my tricks for coming up with stuff to write & how I make myself write (more to the point), because NaNoWriMo is insane & yet we keep trying to do it. Here is to mutual fear & gnashing of teeth. A nearly surefire way to pump the old creative juices, read truly terrible writing. I know the usual advice is to read GOOD writing, but that's getting you only halfway. You need to be angry. You need to have motivation. You need to have PURPOSE. So remind yourself that the world is full of HAPSOLUTELY hellawful writing that passes as literature & gets published (for money!) & people buy it (for more money!! ), & you OWE IT TO SOCIETY to write your awesome book & bring balance to the world. note: it helps to have a grumpy-cat attitude about most things in life in order to pull this off. if you're usually optimistic + generous, this trick will be harder for you to achieve. Prerequisite: you need to be able to drive. I am a) an aggressive driver, & b) I tend to drive the same routes whenever I go out, so spatial-long-term-memory-guidance-drones in my head take over & I'm often free to just think. If I can get Siri to find songs on the internet for me (is that really so hard, Siri?? ), I can ramp up my imagination to the speed of my music & my car. They say you need to go after inspiration with a stick but I find running it over with a car is more effective. note: this is a terrible idea & i never recommended it. you were never here. When all else fails & I can't come up with scenes on my own while I do the rest of my life, I will drag my inverted camel carcass to the computer (mentally whining & complaining & hating myself because I am a mature adult), I'll OPEN UP THE DOCUMENT, & actually read some of it. Get back in the vibe. Kind of sort of but not really commit to maybe writing another paragraph. Sometimes I find myself writing more than I thought I would. note: a mixed drink will significantly diminish the inner "fight" attitude against buckling down & writing, & will make your writing appear momentarily the bomb.com, but sadly i cannot pursue this aid at present & duh reasonable precautions apply to everyone attempting this including minors, pregnant women, teetotalers, people prone to emotional weeping (mirriam, i'm cautioning you), & anyone who hasn't had a decent intake of water during the day. 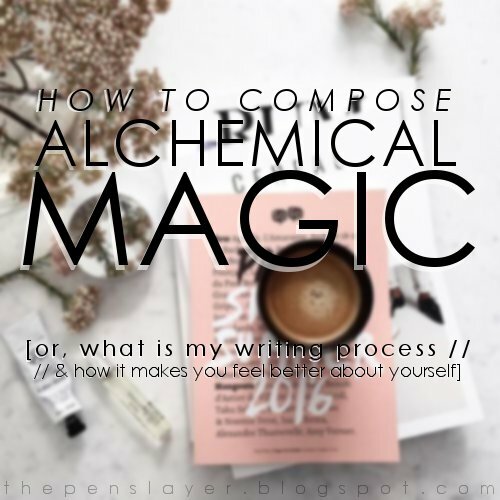 Yes, you'll want a nice fancy playlist & a perfect Pinterest board detailing the exact aesthetic of your novel, but the TRUTH IS writers came up with killer books without the aid of these mechanisms, & you can too. These are fun but really they just waste time. Indulge them ONLY WHEN YOU CAN; if a teenytiny voice in your head is saying, "ooh, I'll get to writing just as soon as I find this one particular song & a picture of my main character which is 100% perfect, this will help me, I don't need to feel guilty - " then you are ABSOLUTELY GUILTY. note: the long-forgotten trick to writing? it's WRITING. These are the five methods I use to actually write my (disconcertingly coveted) stories. Also Dammerung. That's definitely motivation. Yep, basically whatever you are doing now is probably just as good // better than my method because you are not lazy + stupid like I am, so here is your chance to gloat! Meanwhile, I will be taking a nap & NOT WRITING AT ALL because I am in my third trimester & I am unbelievably exhausted it isn't even funny I am so ready to be done with this why is January so far away. are you insane & are you going to participate in nano? IT WAS NICE KNOWING YOU. Okay, I'll admit, I laughed pretty hard over this post and finished feeling more inspired in a relaxed kind of way. You rock. Also, I'm snickering over the aside to Mirriam. Yes I am insane and doing NaNo (for the 7th time) so it was nice knowing you too. :D Fun post. Hey, ANYTHING THAT BROUGHT DAMMERUNG ABOUT = I AM A FAN. NANO IS INSANE but hey it often helps people buckle down & get some writing done. I don't mind writing, but anticipating the writing process is excruciating. BAH. Wow, I hadn't thought about reading bad literature. Channel your rage!